Reacting to the appreciating rupee, FIEO President, Ganesh Kumar Gupta said that the stronger rupee is definitely good for the economy and reflect the inherent strength of vibrant Indian economy. "However we strongly feel that some support to exports is the need of the hour," he added. 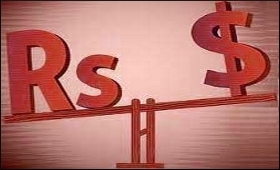 The rupee appreciation to the tune of 6-7 percent during the last two months has come as setback for the exports sector. It not only reduces the competitiveness of the exporters in the international market but also in a big way impact the overall exports of the country as we are in price sensitive segment of exports, said Gupta. FIEO Chief said that the Federation will soon raise concern of the export sector with the Ministry of Commerce & Industry and Finance urging for the immediate support for the sector both in the short and medium terms. Gupta is of the view that certain incentives in the form of Interest Subvention, being given to the manufacturers, may be extended to merchant and various other sectors of exports. Moreover, higher MEIS across sector of about 3 percent can somewhat offset the losses on account of rupee appreciation and further boost exports in such challenging times. FIEO President further expects that if the currency appreciates in such a manner rupee will be in the range of around Rs 62 to a dollar in the next 3-months period. Though India was more quality and better equipped , we happened to lost chance of becoming world factory and kept watching china growing , due to various political reasons and its decision, perhaps PVN sir and MMS sir had not accepted reality , India would still have been only exporting basmati rice , mangoes and textiles ,to our luck , world was blinking clueless on Y2K and for India it was a sixer ball , during that time no country was qualified as much as India , the other luck was free undersea cable for data transmitting ,rest is history, India happened to be largest service provider for world , we had every opportunity to be hardware factory for world , we were slow and complacent hence lost the opportunity, now we are again at super advantageous situation to be world's factory at changed scenario , obviously for known reasons of quality administration and political willingness , we must grab this opportunity by keeping rupee stronger and bring dollar to 55 level , I am sure , one can find easily how to compensate export losses from the gains of imports , lets not think of hammering rupee for next three years , of course cautiously .